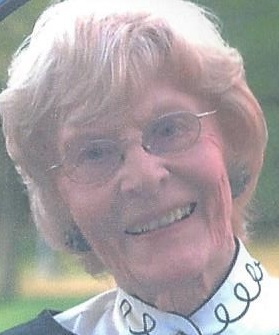 Joyce Kathleen [Ruebel] Moehring was born in Buena Vista County, Iowa to Lee and Ida [Ruwe] Ruebel on September 26, 1920. She spent her youth in Olivia, Minnesota. After college she taught school in Hector until her marriage to Carl E. Moehring on August 24th, 1942. She was always active in children activities such as Sunday school, girl and boy Scouts, American Field Service and many volunteer jobs. Preceded in death by her husband of 69 years, Carl. She is survived by her daughter, Deidra (Eric) Gustavson of Plymouth; son, Carl (Chris) of Bandon, Oregon; 6 grandchildren; 14 great-grandchildren; and 1 sister. 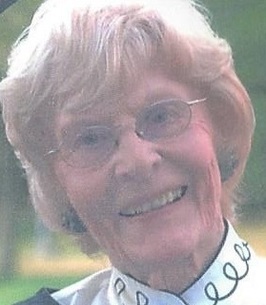 She was a member of St. John’s Lutheran Church of Mound. She died on November 18, 2018. She shall be sorely missed by family and many friends. Memorials are preferred to Summerwood of Plymouth, 16205 36th Ave N, Plymouth, MN 55446. Please accept my deepest sympathy. May you find hope and comfort in knowing that our loving God, Jehovah, yearns to bring back those who are in his memory and to see them live on earth again.—Job 14:14, 15. We will miss you, Joyce! You were a wonderful sister to Phyllis and aunt to Kerry and John. May treasured memories bring comfort to all your family and friends.